I'm here today to play again with Alcohol Inks! 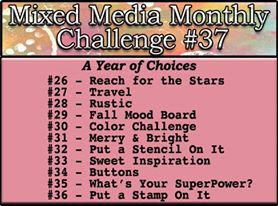 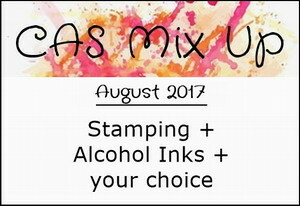 and to remind everyone that there's still time to join in on the CAS Mix Up Challenge - Last day to link up is August 24th! 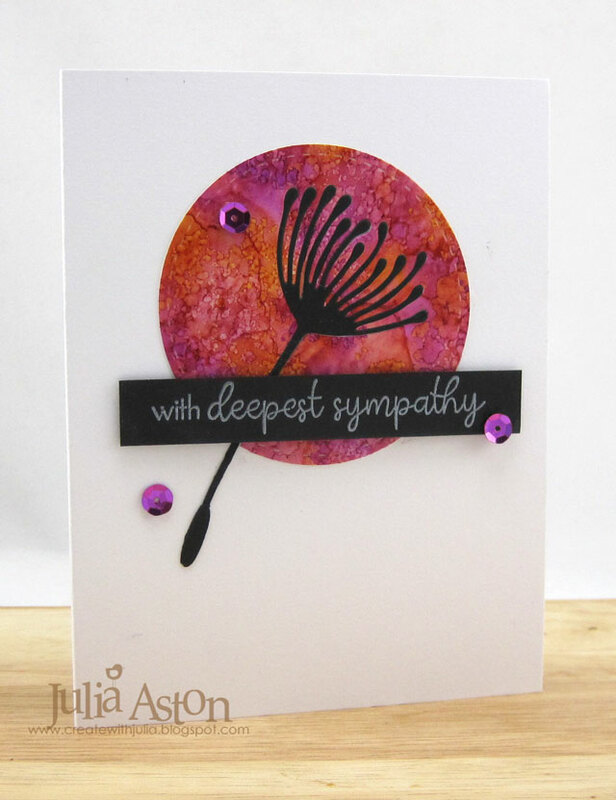 So for this card I used stamps, alcohol inks (AI) on Yupo paper, die cuts, sequins and embossing on the sentiment! Here's a close up of the lovely effect of the AI's on Yupo. 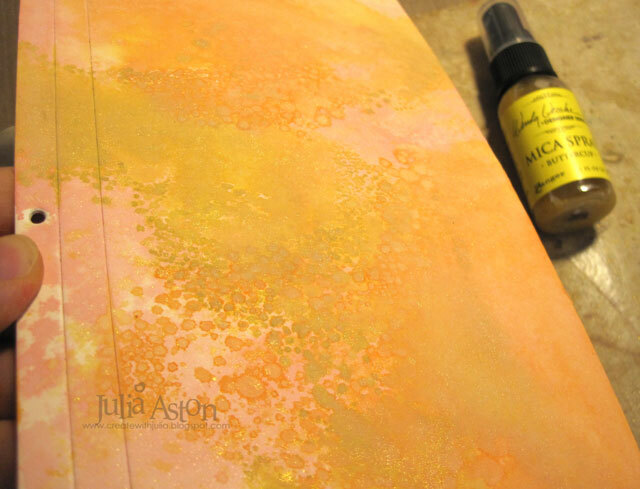 First I dabbed Butterscotch and Wild Plum AI's over a sheet of Yupo using a felt pad with the applicator handle. 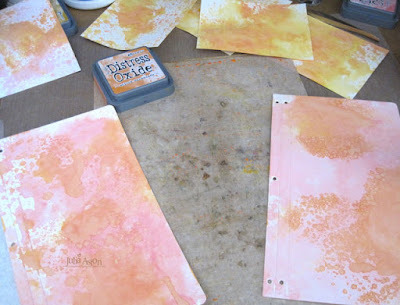 Then I added Alcohol Blending Solution to the felt and dabbed again to blend it better and to get these lovely bubbles! I die cut a portion of the Dandelion Fluff in the circle and removed it from the circle. 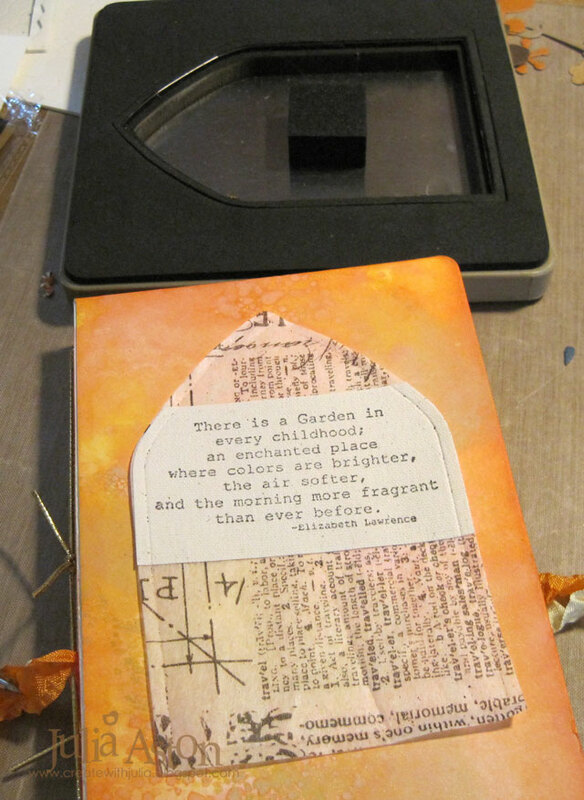 I die cut the full flower from black card and layered it inside the circle. 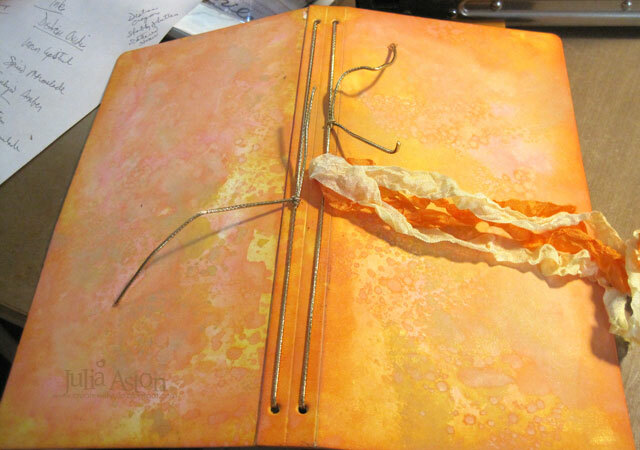 I put tape on the back to hold the piece in. 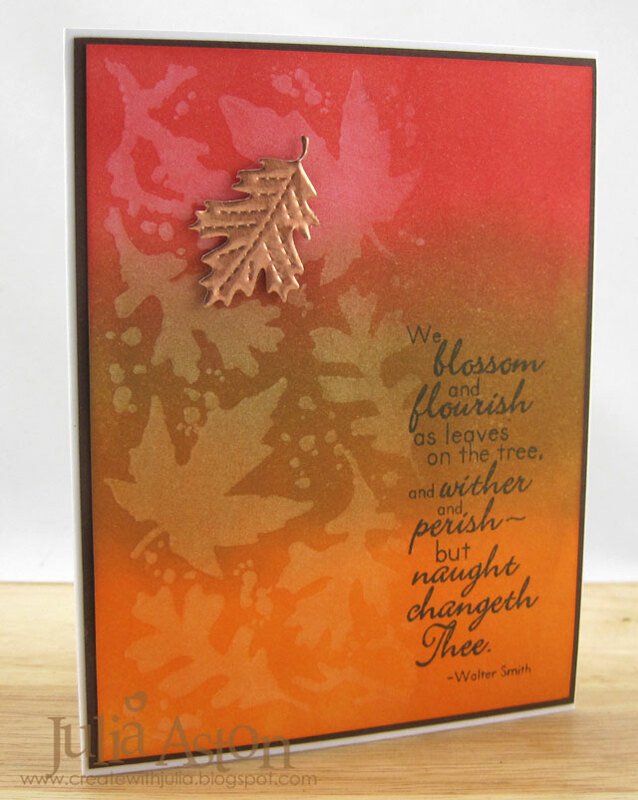 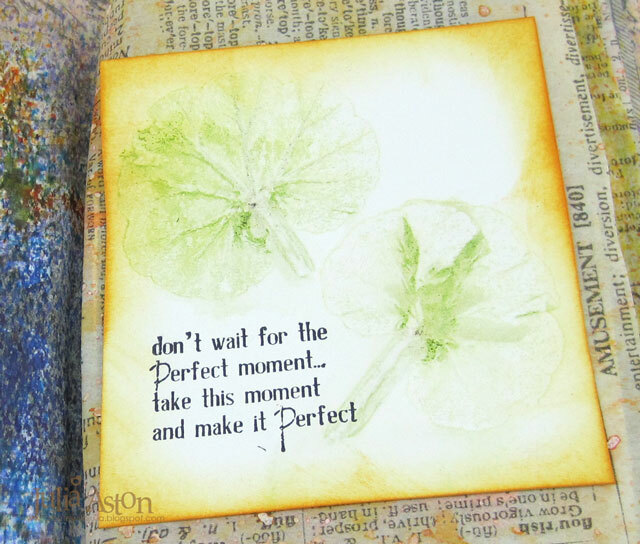 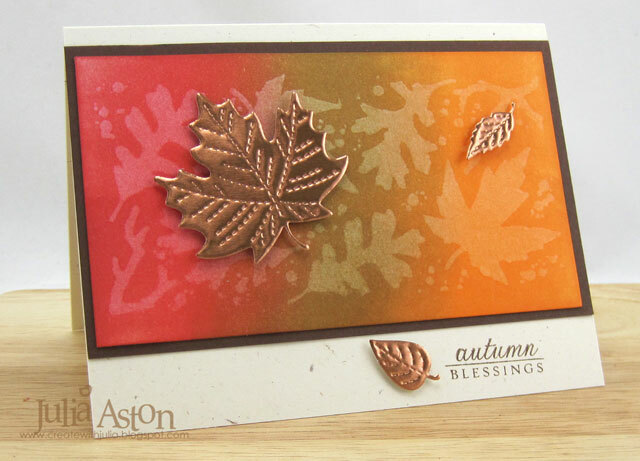 I embossed the sentiment on a strip of card using Silver Pearl Embossing powder. 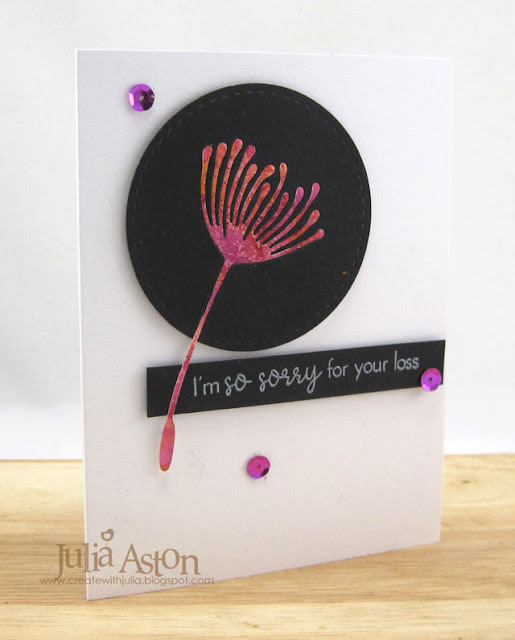 And I just had to use the negative of the die cut to make a 2nd card - where the circle is black and the inlaid die cut flower is the AI piece. 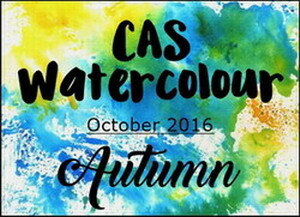 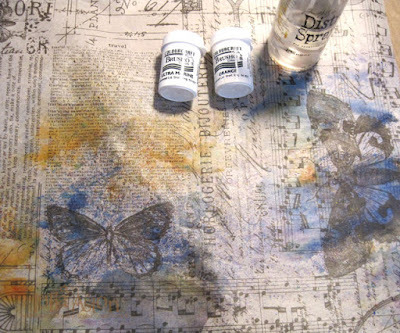 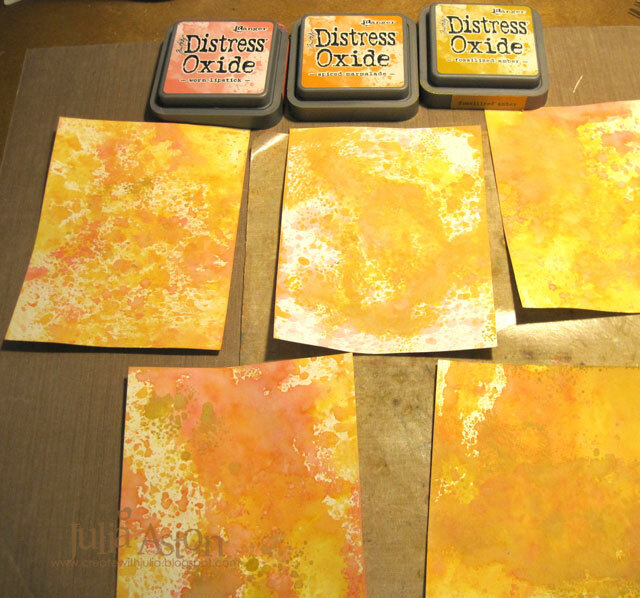 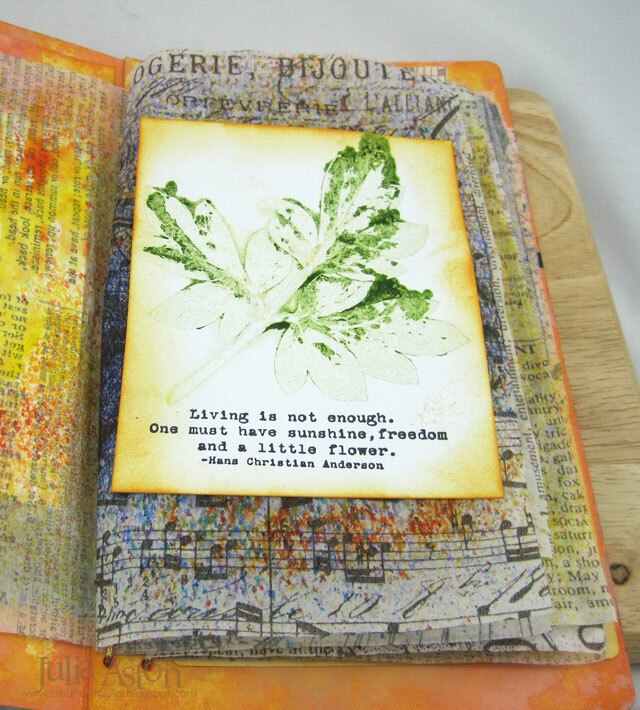 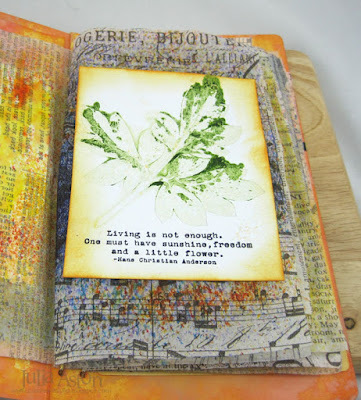 So please join us over at the CAS Mix Up Challenge and show us how you use Alcohol Inks! You'll find lots of DT inspiration, the rules of the challenge and Mr. Linky here. 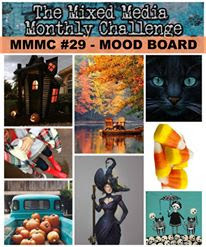 You have until 8/24! Ink: Versamark, Alcohol Inks Butterscotch, Wild Plum, Alcohol Blending Solution. 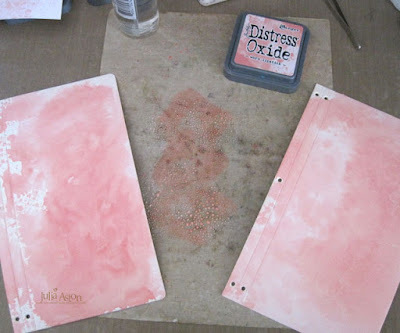 Accessories: dies - Stitched Mats Circles - Lil Inker, Dandelion Fluff - Elizabeth Craft Designs, foam dots, Glue Pen, Silver Pearl Embossing Powder - Ranger, Sequins - Neat and Tangled, Felt pad and applicator handle - Ranger. 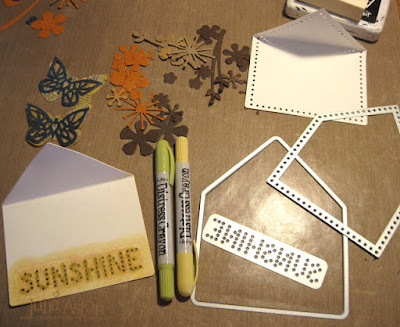 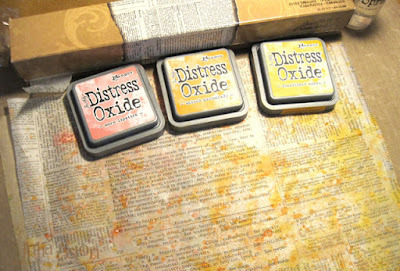 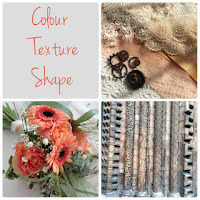 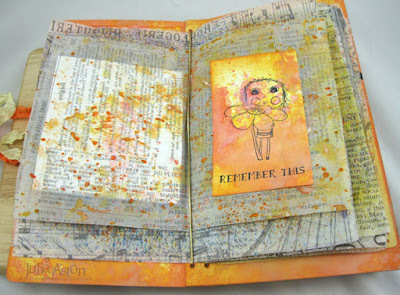 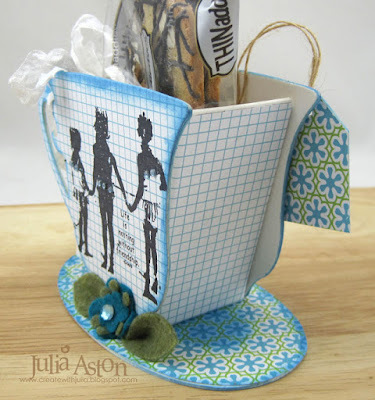 Eileen Hull Sizzix Inspiration Team - collaborating with Stampotique! 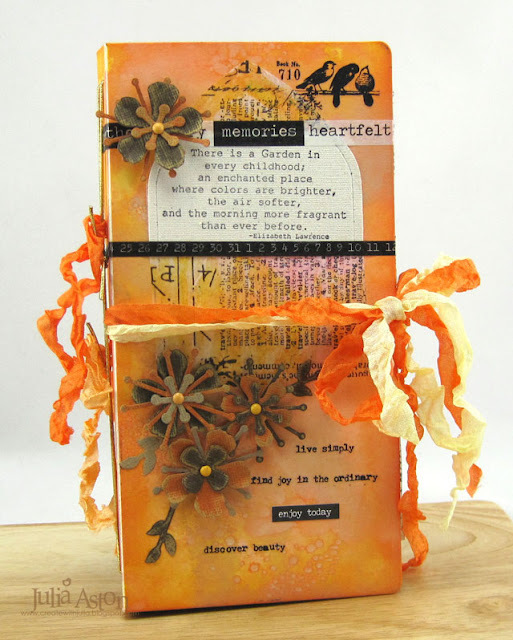 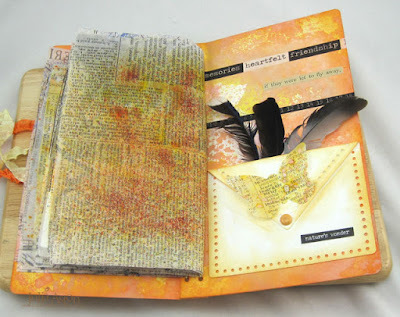 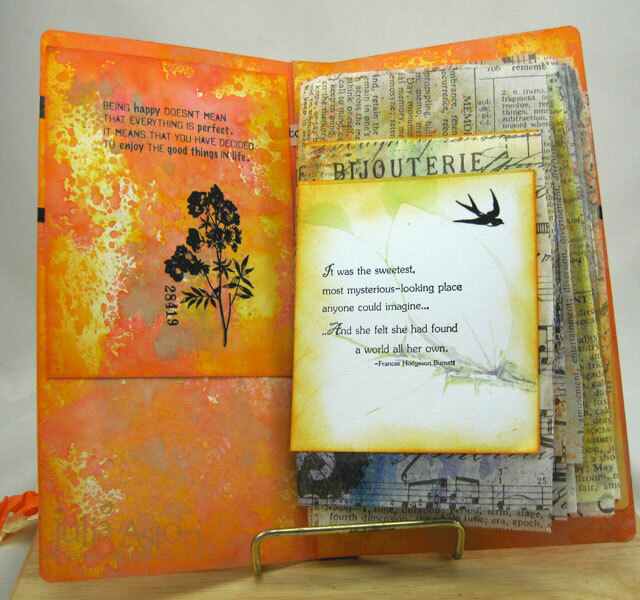 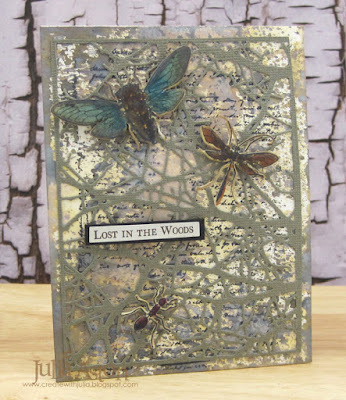 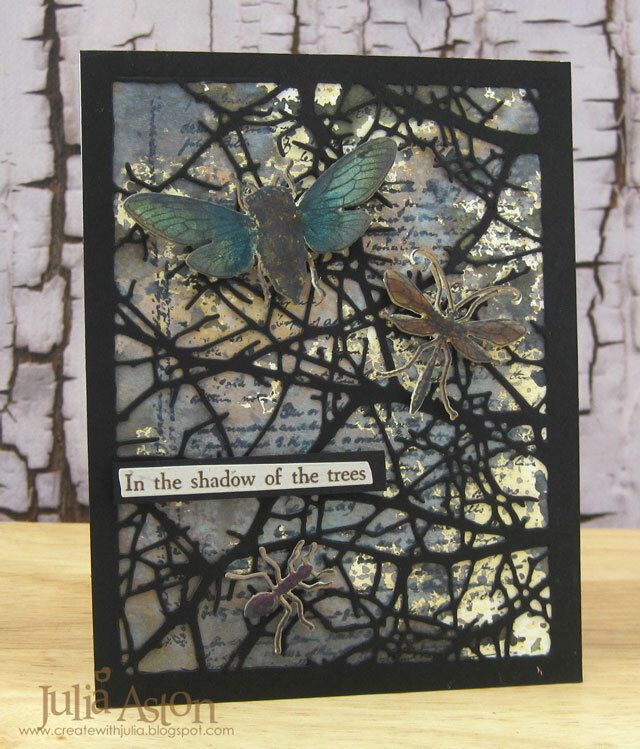 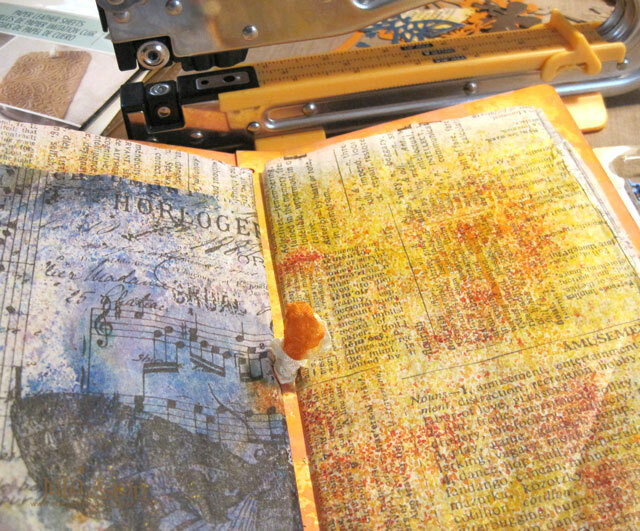 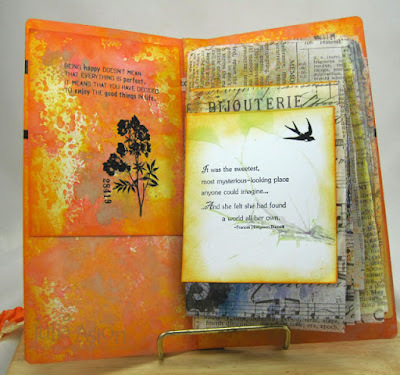 This month Eileen Hull's Sizzix Inspiration Team is joining with Stampotique! 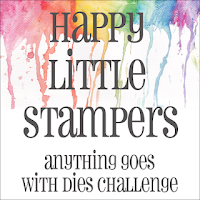 We were happily supplied with 6 Stampotique stamps of our choice - so you will see lots of variety over on Eileen's blog every Tuesday in June! 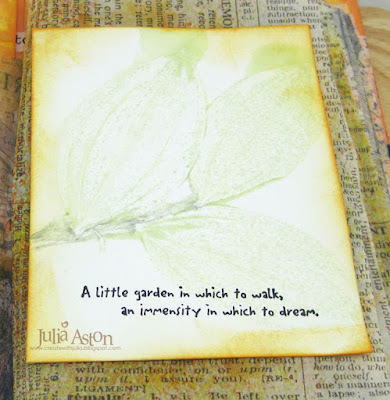 For my first project - I used Eileen's Tea Cup 3D die, Stitchy Flower and Leaf Thinlit dies, and the flower from her House Pocket Die. 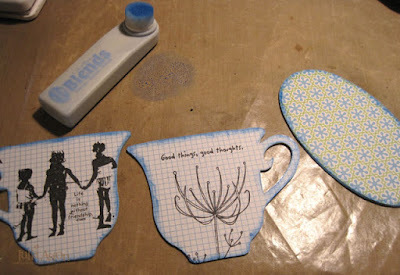 I die cut all the teacup pieces out of White Little Sizzles Matboard. I then cut 2 tea cups and athe saucer out of paper from Eileen's Heart Felt Paper Pad. I stamped 3 Girls on one side of the tea cup and Spider Grass and Good Things sentiment on the back teacup using Archival Black Ink. I sponged the edges of all the pieces using Eileen's Color Box Clear Snap Blends Hydrangea ink - so easy with the sponge applicator as part of the ink holder! 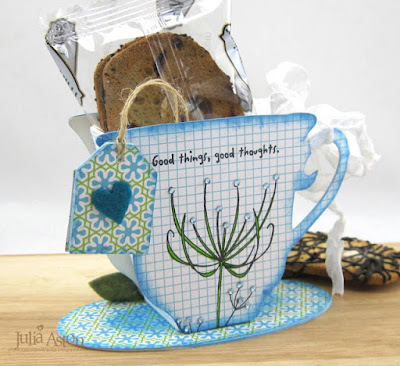 I covered the tea bag tag (part of the Tea Cup die) with more paper from the Heart Felt Paper Pad and a felt heart cut from Eileen's House Pocket die set. 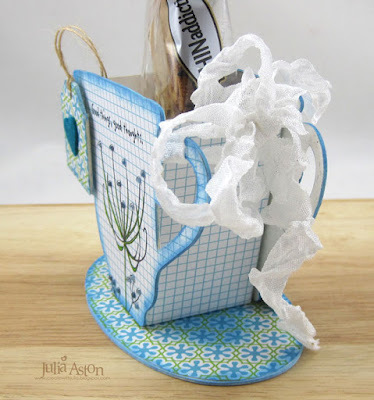 I looped a piece of twine through the hole and attached the loose ends on the inside of the cup. 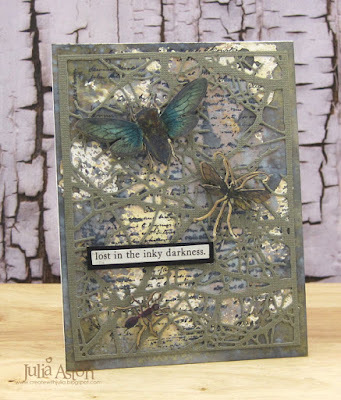 I stamped the Good Things sentiment and Spider Grass stamp using Archival Jet Black ink, coloring the Spider Grass with a light green Zig Clear Color brush and added light blue Tiny Twinkles.. 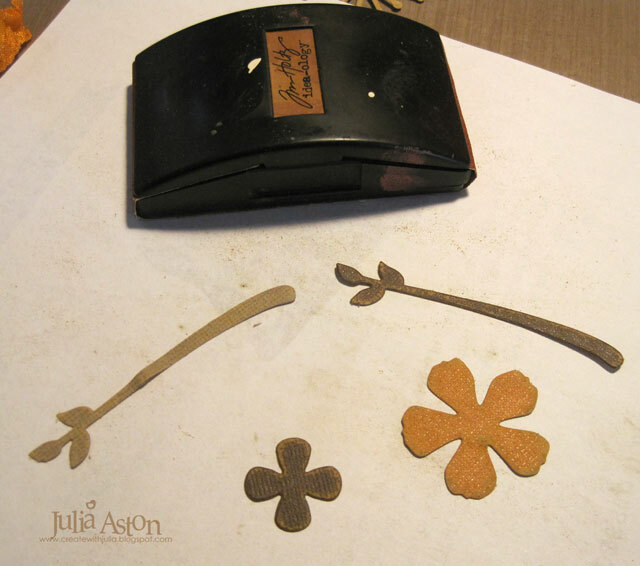 I die cut flowers and leaves from Eileen's Stitchy Flower and Leaf thinlits using Olive and Aqua Kunin Felt. I pinched one end of each leaf together and added a dot of hot glue to each for a little curl, adhering them to the saucer at the bottom of the teacup with hot glue. 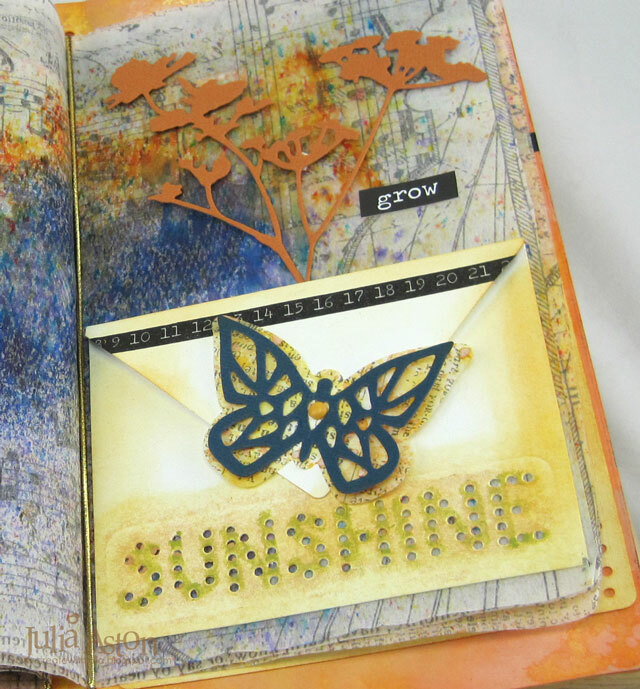 I added more blue Tiny Twinkles on the backs of the girls for a little sparkle and a larger blue rhinestone to the center of the flower. 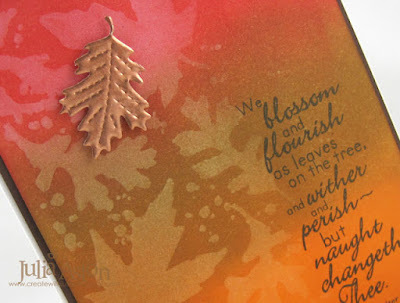 I love this sentiment that is part of the 3 Girls stamp - "Life is nothing without Friendship - Cicero". 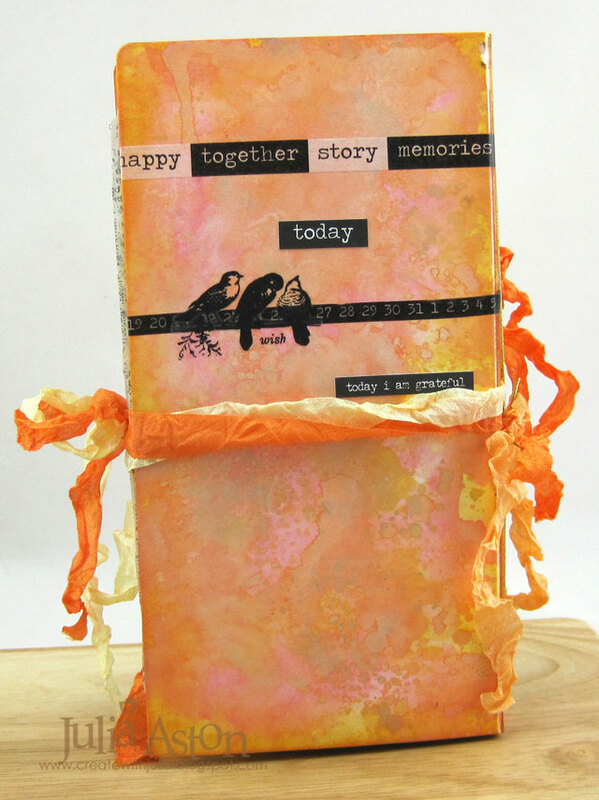 it reminds me of old family photos we have of my sister and me at the beach or lake with friends. 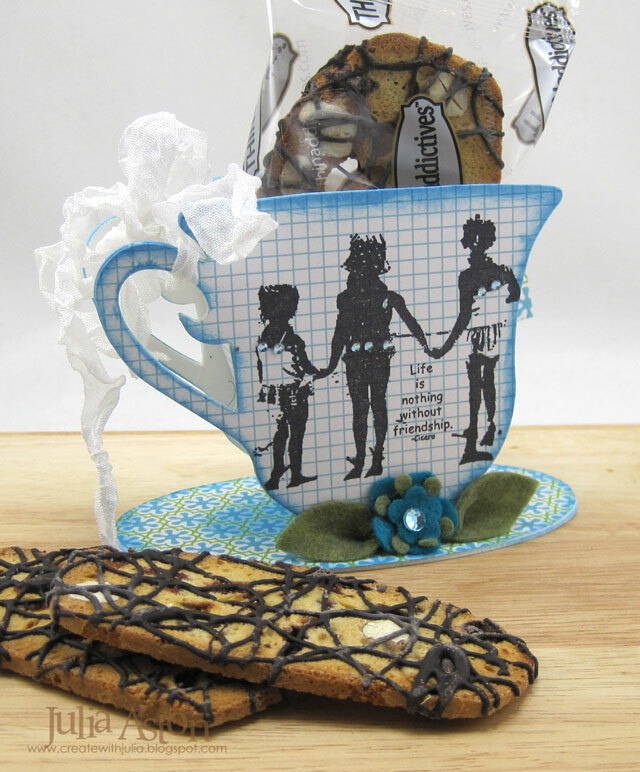 Sometimes I like to dunk biscotti in my tea - so I thought that might be a nice gift to put inside my teacup if I was giving this to someone! 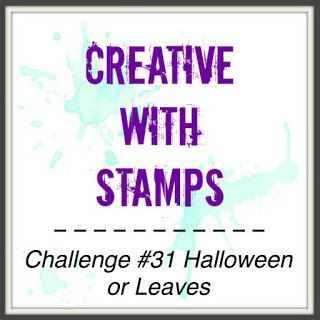 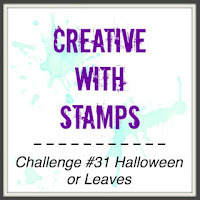 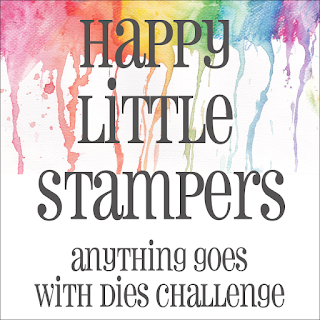 I hope I have inspired you to check out all the fun stamps over at Stampotique as well as all of Eileen Hull's wonderful Sizzix Dies! 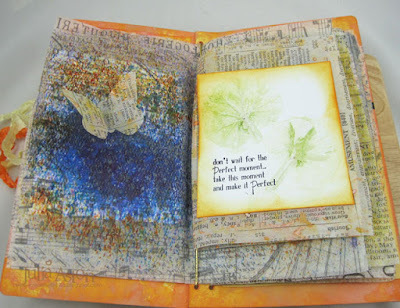 I'll be back next Tuesday with another joint project - and you will find all of the Inspiration Teams' projects over at Eileen's blog during the month of June! 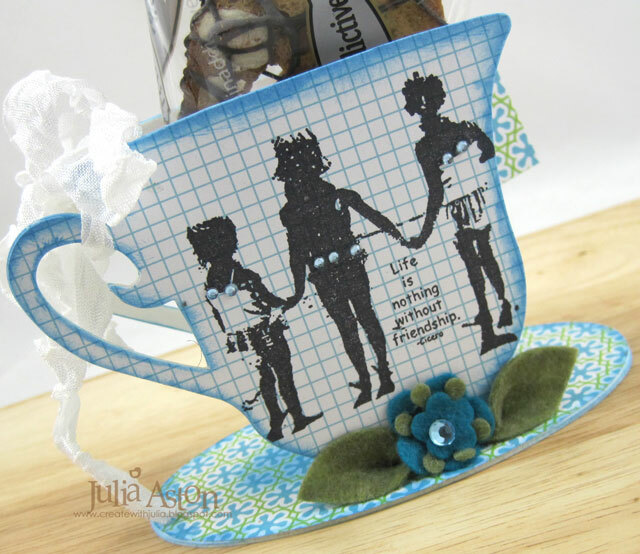 Accessories: Tea Cup 3D Die, Stitchy Flower and Leaf Thinlits, House Pocket Die - Eileen Hull/Sizzix, Olive and Aqua Kunin Felt, light Green Zig Marker, twine, foam dots, Tombow Glue, hot glue gun, Tiny Twinkles - Taylored Expressions, rhinestone - Kaiser Craft, white wrinkled seam tape - Prairie Bird Boutique Etsy Shop. 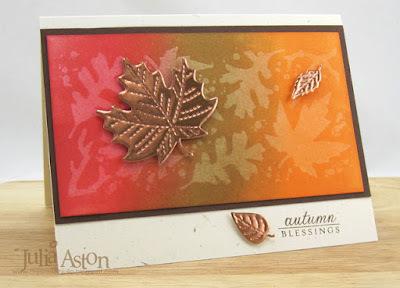 Today was a beautiful fall day here in New England and some of the trees are starting to turn to beautiful reds and yellows. 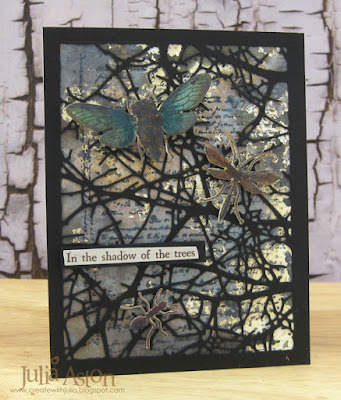 I was inspired to create two cards using the same supplies with slightly different designs. 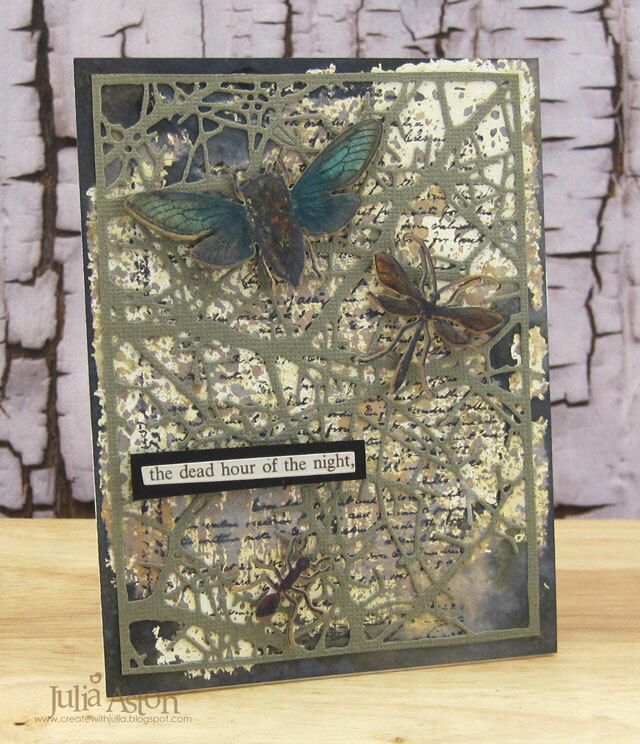 I made the background by first sponging Ranger Distress inks over the panel - in Carved Pumpkin, Brushed Corduroy and Barn Door. 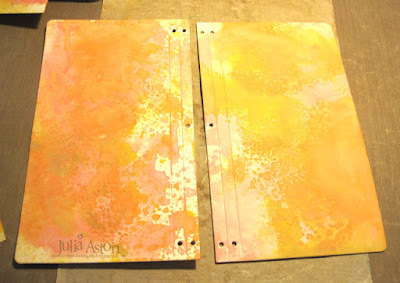 Then I placed Tim's small leaf stencil over the panel and spritzed over the stencil with a water mister. I removed the stencil immediately and dried the panel with my heat tool revealing the washed out leaf design of the stencil. I die cut the leaves out of a Brushed Copper Metal sheet from Add a Little Dazzle using Stitched Leaves dies from Lawn Fawn and layered them over the panels with foam dots. Then I stamped the sentiments.